Quality Installs Available Daily, especially if you’re buying from us. See our Install Me Today Coupon! Our Installation techs have years of experience and are trained to give you the best service possible. 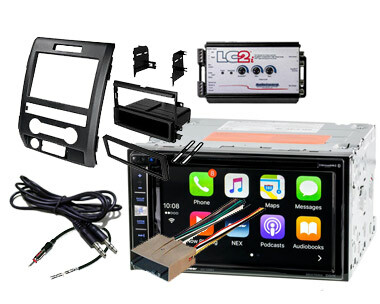 Therefor you get a quality car stereo installation. Also each installer works on many different vehicles every week. With their experience they know how to do their job right. And we know how important it is to finish your car as soon as is possible. In short we are dedicated to giving you a great installation experience. We stock a large selection of custom installation parts, kits, harnesses and modules. This way we are likely to have what you need in stock. 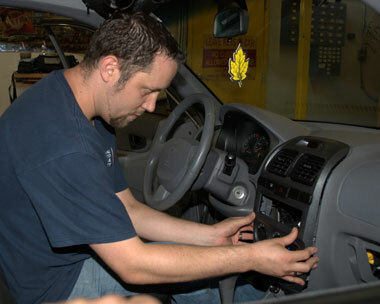 As a result we can likely do your car stereo installation for you today! If you’re purchasing the stereo from us, auto radio installation begins at $59.99 plus any parts if you need them. Sometimes price can vary depending on vehicle make and model or type of stereo purchased. If you have your own stereo, customer installs are usually $10 more. We’ll quote you an exact price before any work is done. In summary, the total price depends on the car, the type of stereo being installed, and the parts needed. Sometimes we need to see the car and equipment at our store location before we can give an accurate quote. When you purchase your stereo from us our installation warranty is for one year and includes any necessary troubleshooting or service you may need during the warranty period. As an example, if you have a problem we will find out what’s going on and fix it at no charge. Or if your new stereo isn’t working right, we can often replace or exchange your defective equipment. If we install equipment you bring to us the installation warranty is from 30 to 90 days depending on the job. When Can I Get an Install done? If you are purchasing the radio from us we can usually install it the same day. Often we can do it while you wait. If we are installing a radio you are bringing to us, our ability to do it depends on how busy we are that day. For this reason you may want to call in advance to see if we can get you in. In either case if we’re busy you may need to drop the vehicle off. We’ll call you when we’re done. Come Visit Our Store and Talk with a Real Car Stereo Expert! Remember, if you buy a car stereo online it has no local warranty. Since we are authorized dealers for the brands we sell, we give you a local warranty and local product support when you buy from us, especially if we install your purchase.